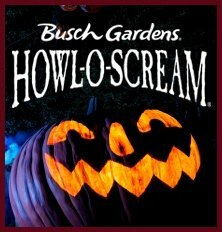 Busch Gardens’ annual horror fest runs weekends through October 28. Howl-O-Scream, features sinister tricks and terrifying fun for brave guests who dare to enter. Bone-chilling scare zones, frightening shows and gruesome creatures that lurk around the park are stars in Busch Gardens’ celebration of the macabre. The park’s younger guests will be treated to Halloween happenings with their favorite characters at Sesame Street Forest of Fun. The haunts begin September 21 and continues to terrify every Friday, Saturday and Sunday through October 28.